The laser refractive surgery specialists at Hoopes Vision have the combined experience of over 80,000 LASIK and PRK procedures to draw on. Since the 1990s, laser-assisted in-situ keratomileusis, or LASIK, has helped millions of people to see the world more clearly, free from glasses and contact lenses. In the years since its introduction, constant technological advances have made an already safe and effective procedure even safer, more effective, and more predictable. These same advances have also made LASIK available to more people, to the point that many patients who might have been turned away as unsuitable candidates for laser vision correction years ago are now able to enjoy the freedom from corrective lenses that LASIK can bring. Since the mid-1990s, laser vision correction procedures such as LASIK and PRK have helped millions of people to see the world more clearly, free from glasses and contact lenses. These procedures, also called laser refractive surgeries, use a heatless, computer-guided laser, called an excimer laser, to reshape the cornea, the clear tissue at the front of the eye. 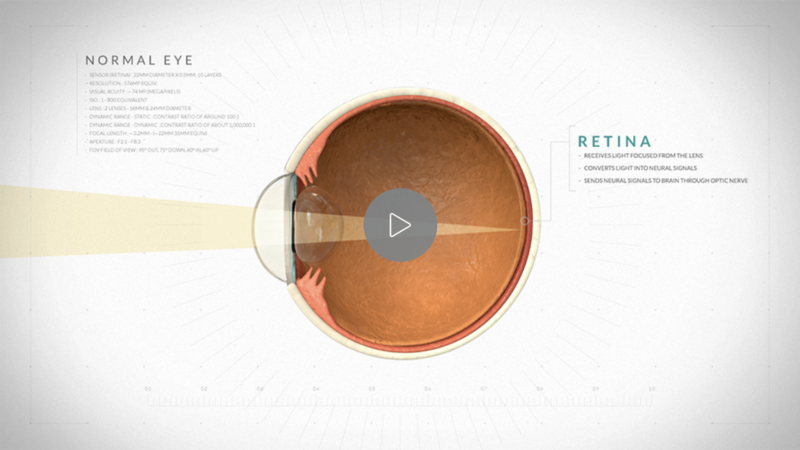 Modern laser refractive surgery is a safe, comfortable, predictable procedure that can treat myopia (nearsightedness), hyperopia (farsightedness), astigmatism, and presbyopia. The laser refractive surgery specialists at Hoopes Vision have the combined experience of over 80,000 LASIK and PRK procedures to draw on. Our ongoing commitment is to provide Salt Lake City, Provo, and Ogden-area patients with only the newest, safest vision correction technology. Since our founding in the Salt Lake City area in 2000, Hoopes Vision has acquired five different excimer lasers for vision correction and three different lasers for bladeless flap creation, more than any other laser center in Utah. Since our founding in Utah in 2000, our commitment at Hoopes Vision has always been to offer patients the newest, safest, and most effective laser vision correction procedures available. That commitment has led to a continual process of updating our technology. Hoopes Vision has owned and operated six different treatment lasers and three different femtosecond lasers for flap creation, each representing an improvement in safety and performance over its predecessors. Our confidence in LASIK and PRK is based on the first-hand evidence we see in our clinic every day in the form of an overwhelming proportion of patients who are now enjoying great vision without glasses or contacts. That confidence is reflected in our free, lifetime See Clearly and Money Back Guarantee, which assures patients a great result or their money back. Here are some statistics showing the great outcomes patients are experiencing at Hoopes Vision. In 2000, Dr. Hoopes published LASIK: A Guide for Patients and Their Families, intended to provide prospective patients with expert knowledge on what was then the relatively new field of laser vision correction. Continually updated since that time, the guide is now in its 11th edition and has been updated to include the newest lasers, techniques, and developments. LASIK is an amazing procedure that has helped millions of people around the world see better, free from glasses and contact lenses. Since its introduction in the United States in the mid-1990s, LASIK has become one of the most common and popular elective surgeries in the country. As the number of people seeking laser vision correction has grown, the number of doctors offering the procedure has proliferated as well, to the point that there are now thousands of LASIK centers in the USA. A prospective LASIK patient looking to make the best decision about where to have this life-changing surgery is likely to see a wide range of providers available in his or her area. The first major advance after the introduction of LASIK was the development of femtosecond lasers for flap creation. These lasers replaced the microkeratome, a spinning stainless steel razor blade used in traditional LASIK, with a fast, safe, computer-guided laser. 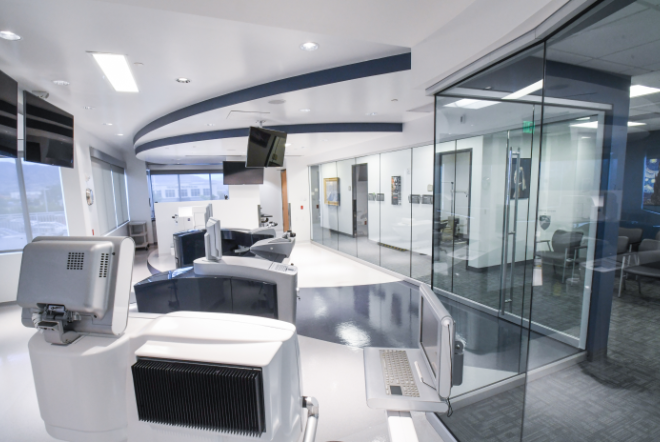 Hoopes Vision was the first practice in Salt Lake City to offer this remarkable improvement. Today, virtually all LASIK surgeons agree that blade-free LASIK is safer and more effective than the old microkeratome method. The second major advance in laser vision correction technology was the introduction of wavefront-guided and wavefront-optimized procedures, often known collectively as “custom” treatments. Wavefront-guided LASIK and PRK improved upon the original procedure by using detailed maps of the patient’s corneas, known as wavefront maps, to develop a custom treatment for each patient’s eyes. Wavefront-optimized treatment went one step further, actually helping to preserve the natural aspheric shape of the cornea after treatment. This was a major advance: wavefront-optimized laser systems such as the Wavelight Allegretto and Zeiss MEL-80 were the first to be certified by the FDA to improve nighttime halo and glare, which were some of the more common side effects of traditional procedures. 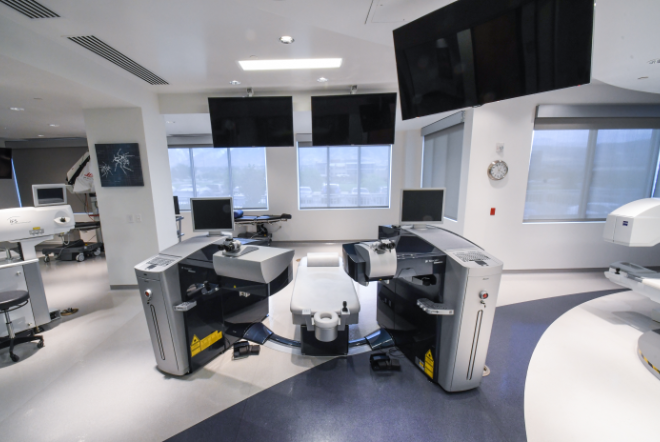 Hoopes Vision was the first practice in Utah to offer wavefront-optimized treatments, and remains by far the most experienced provider of wavefront-optimized treatments in the state. Since 2005, Hoopes Vision has offered wavefront-optimized PRK as an excellent alternative for patients who are not ideal candidates for LASIK due to extreme prescriptions, thin or irregularly shaped corneas, or a combination of those factors. Thousands of patients who might not otherwise be able to receive vision correction surgery can enjoy freedom from glasses and contacts thanks to custom PRK from Hoopes Vision. If you are considering LASIK eye surgery you probably have many questions about the facts regarding the benefits and results of the procedure. Here are some of the most frequently asked questions to help you understand how this life-changing surgery can help improve your vision correction needs. There is usually no pain or discomfort associated with LASIK. The eye is anesthetized with numbing drops at the start of the procedure. Pressure can be felt, but it is not uncomfortable. For the first 12 to 24 hours afterward, the eye can feel scratchy. LASIK eye surgery is famous for the many benefits it affords. Notably, the surgery usually takes less than 10 minutes and is performed on an outpatient basis. Patients can expect to remain at the laser center for about two hours on the day of the procedure. Yes. Most surgeons operate on both eyes at the same sitting. The results are so predictable and the procedure so safe that most people undergoing LASIK surgery prefer to have both eyes corrected on the same day. WHO IS A GOOD CANDIDATE FOR LASIK VISION CORRECTION? Have a stable prescription for at least one year prior to your procedure. Be free of any diseases of the cornea and retina. Have reasonable and realistic expectations. In addition, ideal candidates for LASIK are well-educated about the facts. As the leading experts in Utah, our staff and surgeons are dedicated to providing accurate and honest answers in our ongoing effort to spread LASIK education. Anyone whose prescription is actively changing more than one diopter per year. Pregnant or nursing mothers with unstable refractions. Anyone unwilling to accept the possible risks and complications of LASIK surgery results. Anyone with an uncontrolled or untreated eye disease. Certain corneal dystrophies or a history or herpetic keratitis (a herpes infection in the eye) may be relative contraindications, as are certain arthritic syndromes and other autoimmune disorders. Anyone on certain medications (including Accutane®, etc.). WHAT IF I MOVE MY EYE DURING SURGERY? Each of our ultra-modern LASIK excimer lasers has built-in tracking devices able to adjust the placement of the laser if and when your eye makes an involuntary movement. Some of these devices can track movement up to 4,000 times per second. If your eye were to move too far out of range, the laser simply stops until it can get back on target. The LASIK surgery can then continue, usually with the same excellent results afterward. Most discount centers in the past have gone broke and are out of business. What happens to the follow-up and guarantees then? While no surgery is completely free of risk, even one as established and proven as LASIK, patients and prospective patients can help assure themselves a great result by knowing the right questions to ask in choosing a laser surgery provider. Am I receiving a thorough examination? Is the doctor taking the time to explain the test results to me along with what they mean? Are my surgical options being explained to me along with their risks and benefits? Are my questions being answered? Do they seem more interested in convincing me to have surgery or helping me to make an educated decision about my own vision correction? Am I being “up-sold?” Am I being offered add-ons and upgrades at additional cost? Staff at discount laser centers are often paid commission for selling these upgrades. At Hoopes Vision, the staff is not commissioned and there is nothing to up-sell: every single patient gets the best possible treatment for their vision. People seeking the freedom that comes with LASIK or other vision correction surgeries usually choose a provider based on reputation and proven results, with the price being a secondary consideration. Nonetheless, LASIK represents a significant investment, and at Hoopes Vision, we do everything we can to make our unparalleled technology and experience as affordable as possible. Patients who come to Hoopes Vision are surprised at our competitive pricing and convenient no-interest payment plans. The only way to know your best option for vision correction is to schedule a complimentary VIP consultation. At this free visit, you will receive all the testing necessary to determine whether you’re a good candidate for LASIK, if you would be a better candidate for one of our other vision correction procedures, or if another option is the best for you. The experience I had at Hoopes Vision was top shelf all the way. I got the most thorough eye exam I’d ever had and everyone was friendly and professional. It’s probably the only surgical procedure I’ve ever had that I could say was actually kind of fun. Thanks Dr. Hoopes." Seeing perfectly with no effort on my part was a freedom I didn’t realize I was missing! LASIK at Hoopes Vision is something I recommend to anyone who is in need of vision correction. Thank you, Hoopes, for making my experience one that was comfortable and rewarding. I highly recommend everyone to go to Hoopes; I refer all of my clients to Hoopes Vision.